Ringsvets AB producerar kundanpassade ringämnen. 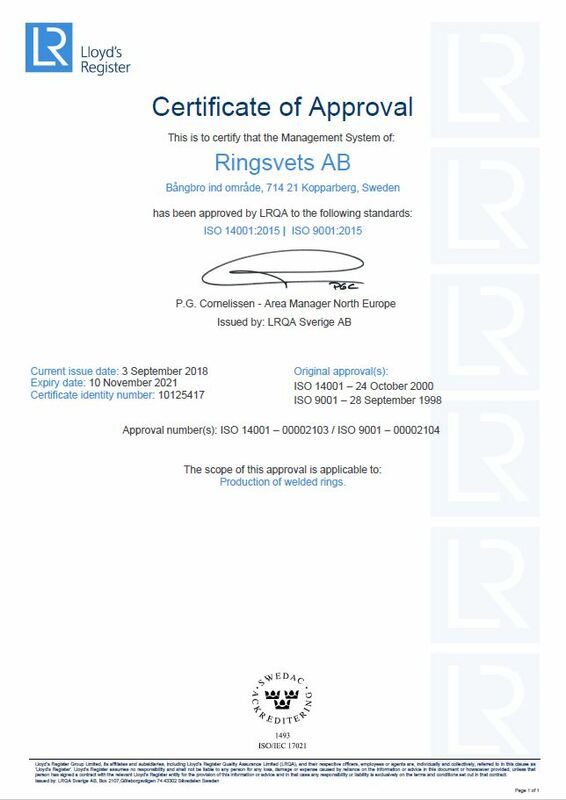 Ringsvets AB has a reputation as a company with a low environmental imprint and a high quality awareness. Quality and the environment permeate our entire operation everyday. We have extensive experience in implementing systematic quality and environment improvement measures as we have been certified for quality in accordance with SS-ISO 9001 since 1998 and environmentally certified in accordance with SS-ISO 14001 since 2000.